I am a triathlon coach, running coach, and strength coach. I offer coaching for any level of athlete with any level of fitness. I've been in the fitness profession since 2001 and an athlete for most of my life. I have a passion for triathlons and running and truly believe that it is important to live a healthy lifestyle. I have Been a motivator to others and help many reach their fitness goals and cross several finish lines, from sprint distance triathlons and 5ks to ultras and 140.6s (including B2b 140.6, IMNC, IMCHOO, IM Louisville, and IM Canada). I have also coached athletes preparing for age-group nationals and athletes that are visually impaired. I graduated with a degree In Exercise Science in 2003 and have been the owner of my own functional training and coach business since 2007. 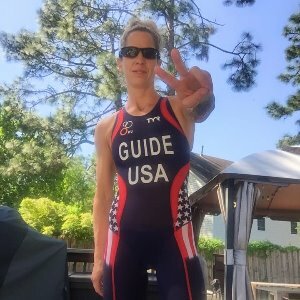 I am USAT level 1 coach, USATF level 1 coach, ISSA personal trainer, TRX trainer, PHI Pilates instructor, a guide for visually impaired athletes and have raced every distance as a guide from 5k, sprint, to ironman. I have also coached high school track. I have been to national 6 times, worlds twice, and raced at the Pan American Championship . I have raced Xterra and been to nationals in Utah. Currently I have a love for ultras and my last 2 seasons of racing have been focused on 50ks. if yo are looking for a coach who have passion and an understanding of what it takes to train successfully and safely please contact me. Success. Coach Maleia Tumolo has been notified of your message.